*Note: Images of batteries shown in extra images are the VV twist offering more control. 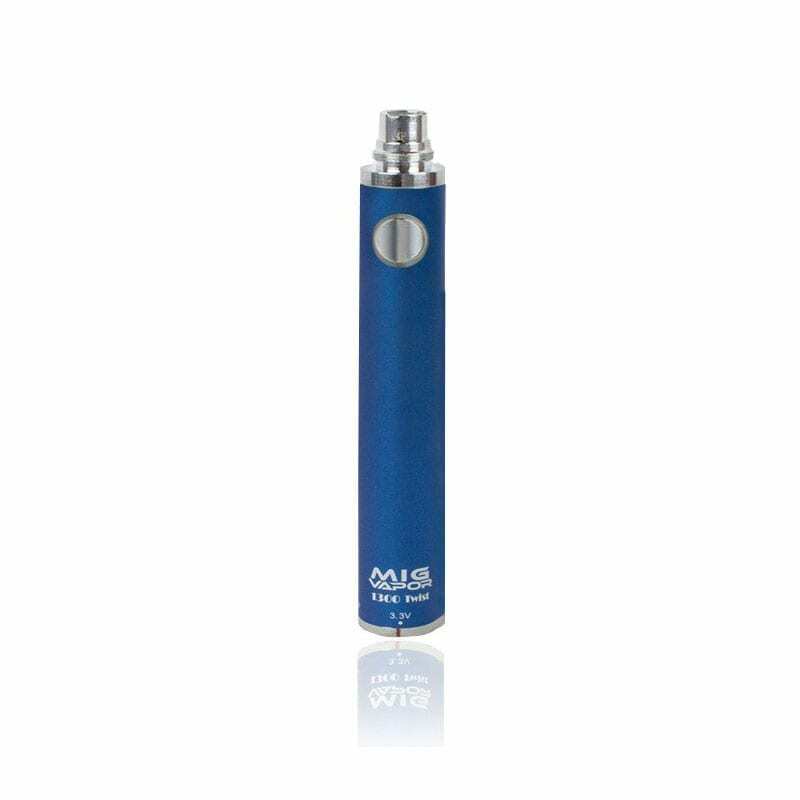 For those just dipping their toes in vaporizing pool, the Mig Vapor SR72 Kit is a great choice. The BVC Clearomizer, a brand-new design created by Mig Vapor’s handpicked creators, uses improved atomizer performance, and optimized coil resistance and to deliver full vapor with a smooth hit. The powerful 1.8 ohm head and 1300 mah battery give great pulls. You can expect only the best with the Mig Vapor SR72 kit. 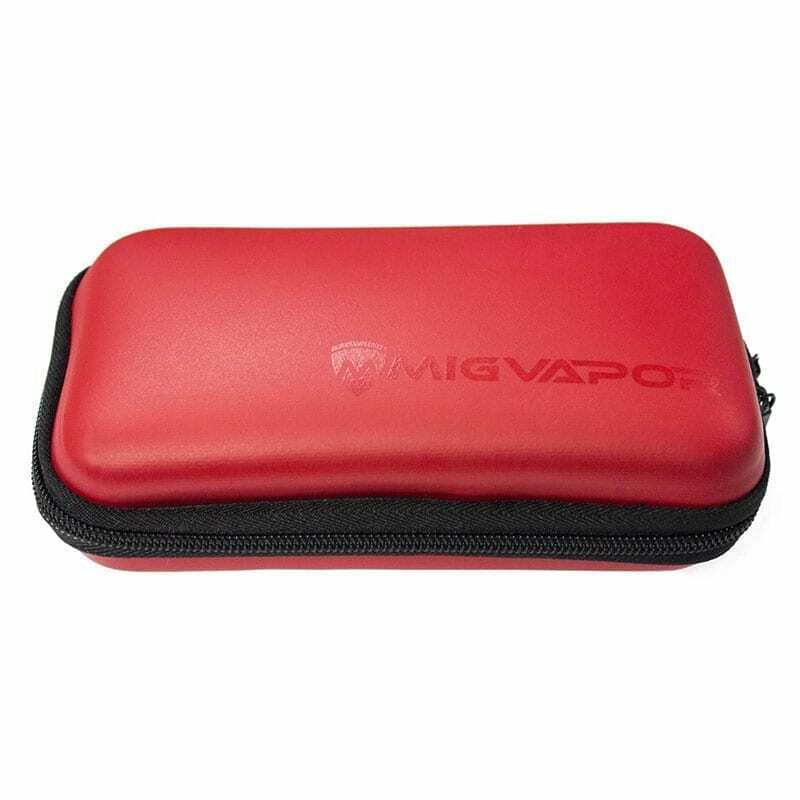 Mig Vapor puts only the best materials and parts in this kit . Including the signature SR-72 Aspire tank with a BVC coil, along with two replacement coils. Both standard and glass tank options are available. 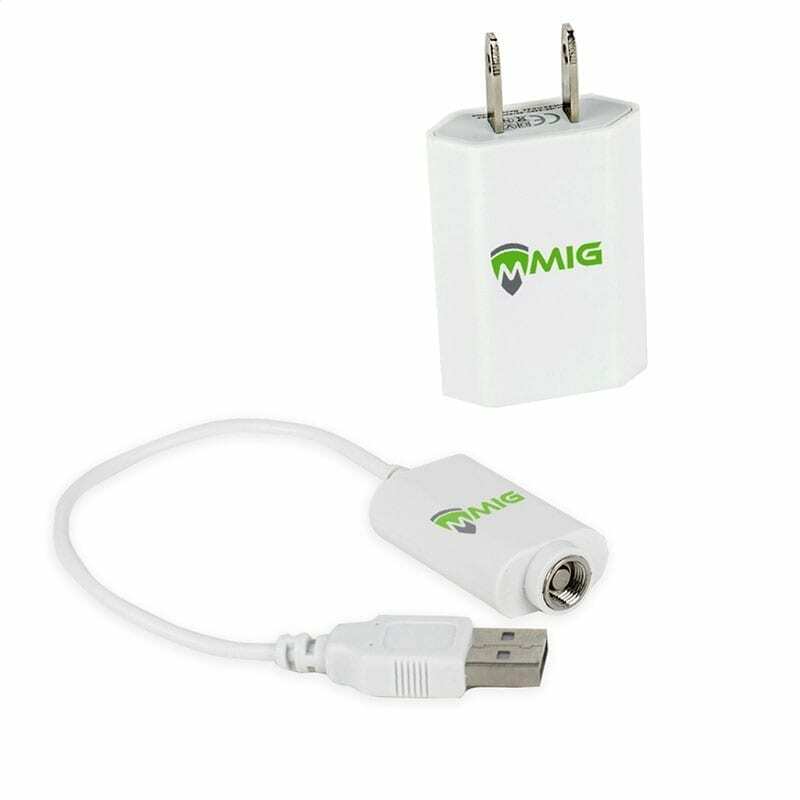 Mig Vapor strives to deliver maximum satisfaction. 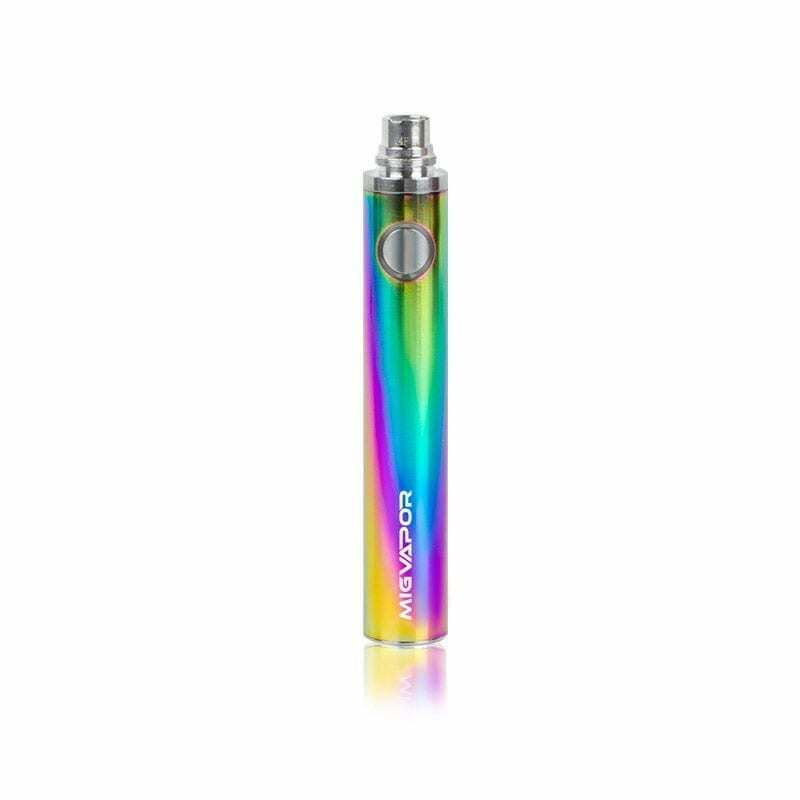 The Xtreme 1300 battery included in the Mig Vapor SR72 kit comes in a variety of color choices to fit you. Basic options are black, stainless steel, and rainbow laser metal, but the upgrades are where the colors really stand out. The free upgrade to the VV Twist (pictured) comes in the same colors of rainbow laser metal, black, and stainless steel, but adds a visual kick. 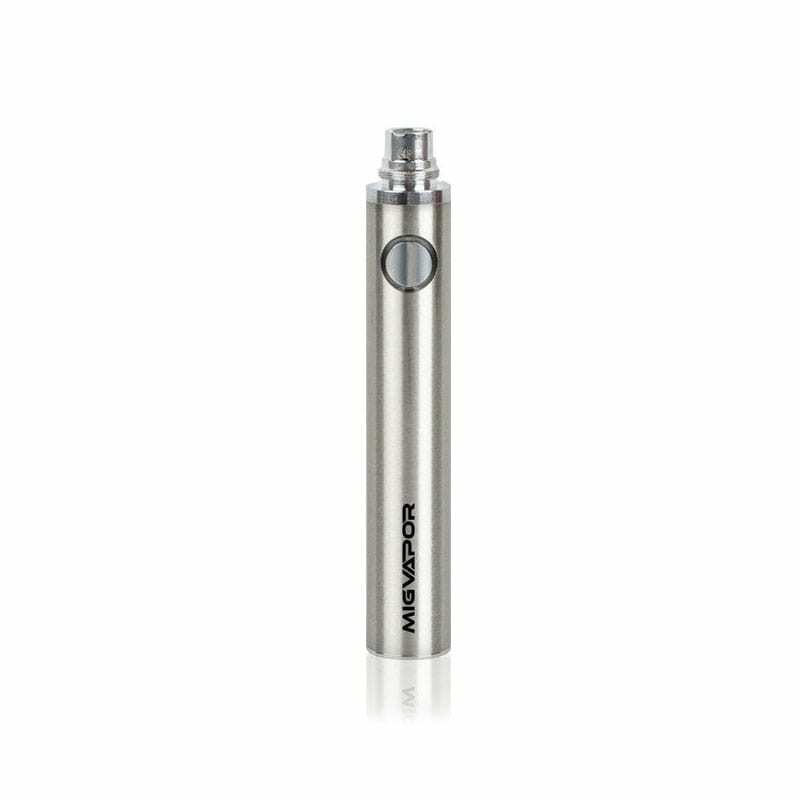 The VV Twist brings the voltage from 4.2 to 4.8 volts, making for a better vaping experience. 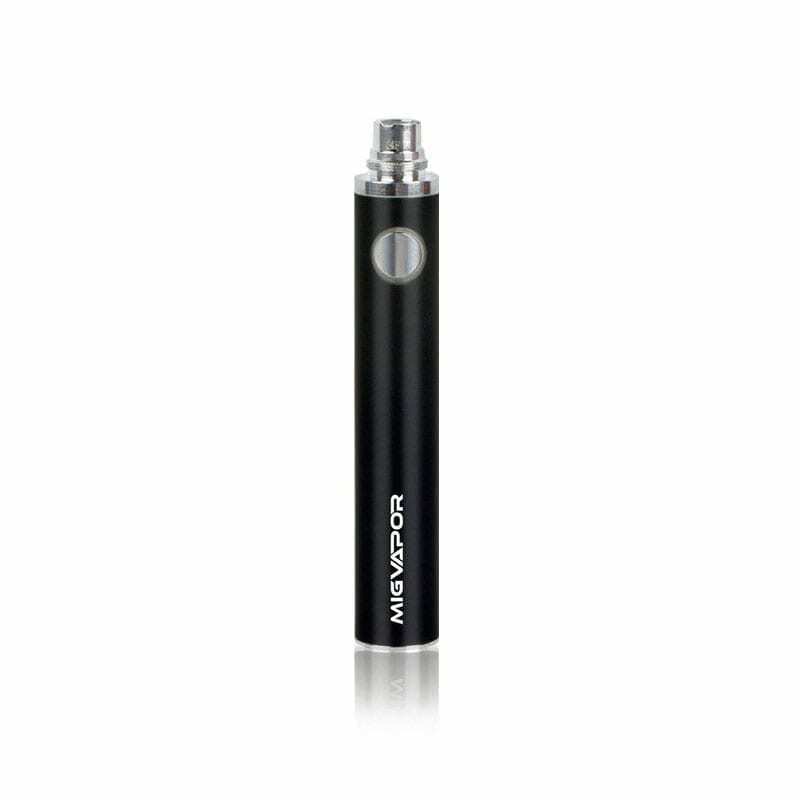 The Mig Vapor SR72 kit battery comes with a power meter and wall USB charger, and your choice of black, or cherry carrying case is included, and as an added bonus, a discounted 30 mL bottle of the finest e-liquid of your choice is contained as well.